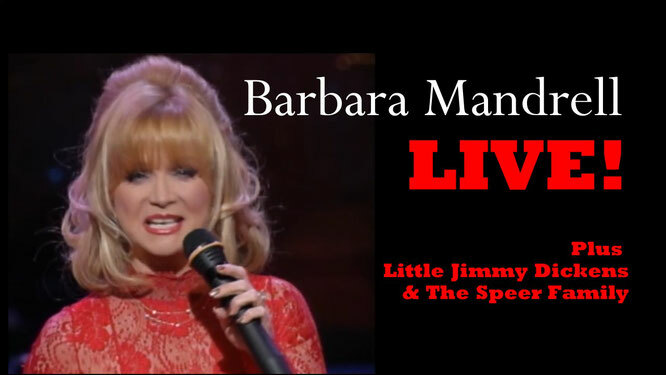 Barbara Mandrell live! Plus LIttle Jimmy Dickens & The Speer Family (1997) Full show! - Newhillbilly website. 100% American Roots Music. Barbara Ann Mandrell (born December 25, 1948) is an American country music singer, musician, and actress. She is known for a series of top-10 hits and TV shows in the 1970s and 1980s that helped her become one of country's most successful female vocalists of that period. She was inducted into the Country Music Hall of Fame in 2009 and is a member of the Grand Ole Opry.